Aloo masala toast is very common snack which made in Indian house everyday. Every person made aloo toast in different way. 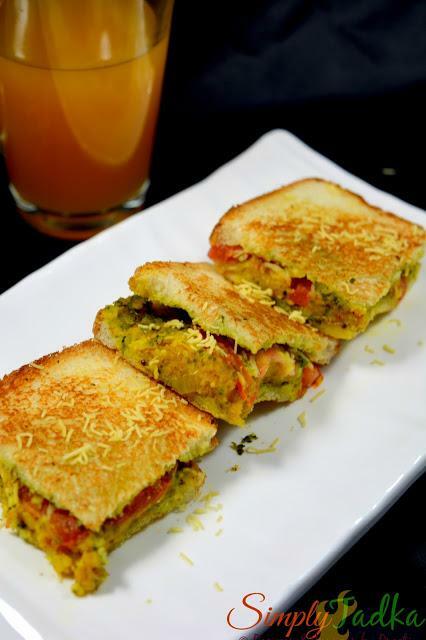 This time i tried Bombay style masala sandwich at home. 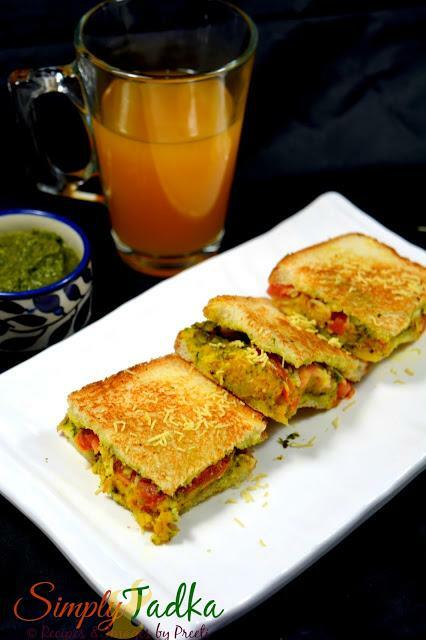 For this recipe, just spread aloo masala and green chutney on bread and assemble with onion and tomato slices. Its a easy way to make and serve hot with ketchup as breakfast meal. Taste of these sandwiches are very interesting because you can get lots of flavor... sweet, tangy and spicy. Instructions: Heat the oil in a wok and add mustard seeds. When they starts splutter, add curry leaves and green chilies. Saute on a slow flame for few seconds. Add boiled and mashed potatoes, turmeric powder, salt and red chili powder. Mix well and cook on medium flame for two minutes. Keep aside to cool. Apply melted butter on each side of bread. Apply green chutney on one side and spread aloo masala evenly. Arrange onion and tomato slices over the stuffing and sprinkle little chaat masala and sev. Cover it with another slice of buttered bread and press slightly with hands. Grease the butter on grill pan and place the sandwich. Cook on medium flame till to golden and crisp from both sides. Cut the sandwich into small pieces and serve with chutney and tea. 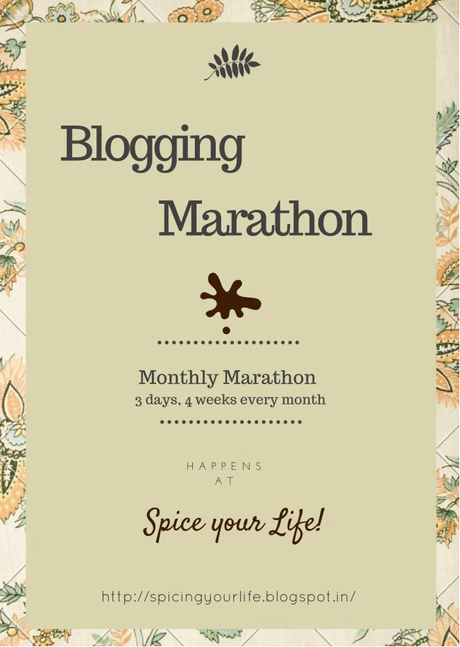 Tags: how to make aloo masala toast, aloo recipes, potato recipes, bread recipes, toastrecipes, snacks, street food, Indian recipes, simple recipes, sandwiches, Bombay masala toast, sandwich toast recipes, simply tadka, food blogging, breakfast, evening snacks, kids friendly recipes, green chutney recipes. Did you make this recipe? If yes, do let us know how it turned out in the comments below.